Information security - the key to peace of mind and guarantee the safety of sensitive data. Therefore, experts recommend, from time to time to change passwords. To change the password in the personal Cabinet is very simple. "Who owns the information - rules the world", - says the ancient wisdom. And indeed it is. That is why information security professionals urge users to use antivirus software, choose strong passwords, in any case, do not write them on random pieces of paper and the main thing - from time to time to change them. All this reduces the risk of suffering from break-in and theft of valuable information by hackers. To change the password in the personal Cabinet, you need to enter the username and current password for the account. After data verification and authentication is successful, you will be forwarded to the personal account. It is necessary to find a section containing information about the current password. Usually it is three fields: current password, new password field and confirm new password.Enter a new password. Take care of it reliability: do not select a simple numeric passwords (e.g. date of birth, phone number, or just ordinal numbers). The password for the high reliability needs to contain alternating small and capital letters and, preferably, numbers. After installing a new password, confirm it by again entering a new combination in the confirmation box and click "OK" or "Enter". If You can't remember the password from the personal account, use the password recovery function on the specified at registration e-mail will come instructions to reset your password and a unique generated link that You will need to pass.Further, the system can automatically generate for You a temporary password or asked to introduce yourself. In addition, almost all browsers have the option to remember passwords. Use it only if your computer does not have permission to strangers. Passwords for different accounts should not be repeated - it strengthens their reliability. Choose a complex alpha-numeric passwords, following a systematic assessment of their reliability. The client of the savings Bank enough to have a computer with Internet access, know the login and password in order to use the service Sberbank online. But if the password is lost how to change it? Phone, computer with Internet access. 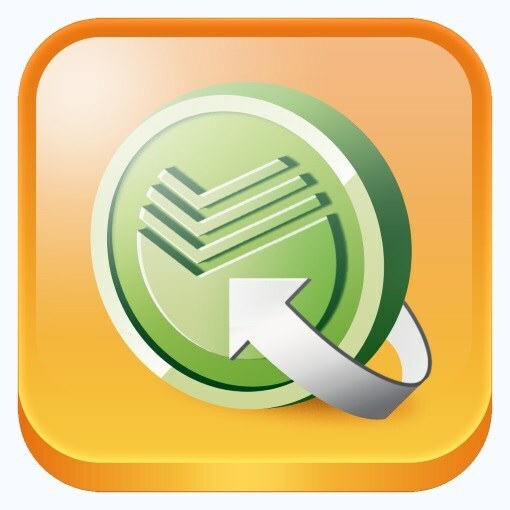 Sberbank online is a very convenient free service for managing your finances designed for clients of Sberbank of Russia. Confidential information: PIN code credit card, username and password in Internet banking should be kept at home on paper, or remember a memory. Reasons for change the password to Sberbank online are different. You have forgotten your password, username and password was written on the ATM receipt that you have stolen or you lost it. You suspect that someone knows your details and can use them for personal gain. If you are not able to log in online account and change the password to Sberbank online, call the help Desk of Sberbank is provided on the back of your card. And Your password to Sberbank online block. Then proceed according to the instructions received from the operator. 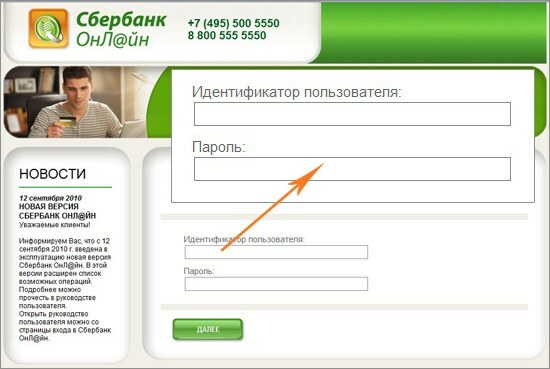 To change the password to Sberbank online when you sign-in, click "can't log in", located to the right of the "Enter" button, the screen will display instructions on how to proceed. Select a phrase : "use the password recovery form", you will be prompted to enter in the on-screen form your ID or username, and the code below. After entering this data, you will receive a confirmation via SMS, and set a new password. If your password lost your login, please call the contact centre of Sberbank is provided on the website of the savings Bank, or sign up in the service again. Sberbank online is available to you with limitations. Remove restrictions, it will take one operation and confirm it by calling the customer contact center. Upon losing the list of passwords, which are all the users when the service Sberbank online, via ATM, ask in any ATM of Sberbank of the Russian Federation second the list of passwords. If you have activated the Mobile banking service, a new password can be requested from the phone number connected to your card. Follow the rules of safe work in Sberbank online, to prevent hacking of your account by fraudsters. If you come up with a password and username, try not to be too easy to decrypt. The username and password to log in to the service Sberbank online, which are issued to customers of the Bank, are unattractive and hard to remember. Sberbank provides the possibility to change the login and password to the ones that the client chooses on their own. Using their own passwords psychologically more comfortable. Service Sberbank Online provides its customers the opportunity to create a new username and password on their own. First you need to pass authorization in the system Sberbank Online. A personal user ID: the login and permanent password, and a list of passwords you can get from an ATM or at the nearest branch of Sberbank. After confirmation of the entry via SMS message (the resulting code should be entered in the appropriate field on the screen will prompt you for username and password change. Fill in the offered form of the three fields "username", "password", "confirm password". Service Sberbank Online imposes a number of requirements to the newly created credentials which meet the General rules of reliability credentials. • login case insensitive, you can use both uppercase and lowercase letters. • a valid login to use the underscore, hyphen, dot and the @ symbol. • password length should be eight characters long. • not allowed to match a username and password. The scale underneath the new username and password need to purchase a green, which indicates the maximum reliability of the new data and the security of your accounts when you work in the system Sberbank Online. Next, you need to confirm the data entered using the code sent in the SMS message, and to log into the system under a new username and password. The ability to create your own password in the service Sberbank Online is available only once. In the future, if you need change password, this can be done in your account on the "Settings" tab in the "Security" section. A new password will be generated automatically and sent in the SMS message. Create your own login is still available, and is also through "Security"section.